"[[A Psalm of praise.]] "Make a joyful noise unto the LORD, all ye lands. Serve the LORD with gladness: come before his presence with singing. Know ye that the LORD he is God: it is he that hath made us, and not we ourselves; we are his people, and the sheep of his pasture. Enter into his gates with thanksgiving, and into his courts with praise: be thankful unto him, and bless his name. For the LORD is good; his mercy is everlasting; and his truth endureth to all generations." Psalm 100:1-5. 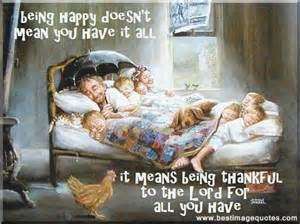 It's good to be thankful unto the Lord. It's more than good, it's necessary. We have so much to thank Him for, but we seldom take time to say "Thank You, Lord". Sometimes we are blinded by our troubles, but there's always a blessing in every situation. Psalm 107 is a good place to start a study on being thankful to the Lord. "O give thanks unto the LORD, for he is good: for his mercy endureth for ever. Let the redeemed of the LORD say so, whom he hath redeemed from the hand of the enemy;" Psalm 107:1-2. This psalm begins by looking back on the history of the Israelites and their release from Egyptian slavery. They faced difficulties they faced as they wandered in the wilderness. Their wandering was caused by the fact that they didn't trust God, but He never left them. "Oh that men would praise the LORD for his goodness, and for his wonderful works to the children of men! "Psalm 107:31. Christians we have been redeemed by the blood of the Lamb and taken from the hand of our enemy Satan. We will face many troubles as we walk along our Christian path, but how many times have our troubles been caused because we didn't trust the Lord or because we made ungodly choices. The word "conversation" is the King James word for the way you conduct your life. Christians need to be more like Christ and we need to give thanks to Him because He never will leave us nor will He forsake us. Even when we rebel against His ways He's always there. That's something we need to be thankful for. The most beautiful words of thanks giving and praise can be found in the Psalms. David's songs of praise didn't always start with all the good things God had done for him, but he praised God in spite of the things that went wrong. David faced many trials but he always loved the Lord and was filled with thanks giving. "Thou hast turned for me my mourning into dancing: thou hast put off my sackcloth, and girded me with gladness; to the end that my glory may sing praise to thee, and not be silent. O LORD my God, I will give thanks unto thee for ever." Psalm 30:11-12. "I will give thee thanks in the great congregation: I will praise thee among much people." Psalm 35:18. It's easy to thank God when things are going our way, but looking forward to God's grace and mercy in times of testing is important. "And my tongue shall speak of thy righteousness and of thy praise all the day long." Psalm 35:28. Be thankful in the good times and also in the bad times. Always rejoice and give thanks to God. "Rejoice in the Lord alway: and again I say, Rejoice." Philippians 4:4. Jeremiah was another man who had faced many troubles in his life. He was a prophet of God and a faithful man, but this didn't exempt him from being afflicted by troubles. It can be easy to get angry with God when things don't go our way, but Jeremiah saw his afflictions as a way that God disciplined him and helped him grow. A parent only disciplines their beloved child, and so God will discipline his children when necessary. Jeremiah took this as something to be thankful for. "It is of the LORD'S mercies that we are not consumed, because his compassions fail not. They are new every morning: great is thy faithfulness." Lamentations 3:22-23. The word translated "mercies" means "goodness, kindness, faithfulness". The Lord truly is merciful and there is no greater evidence of His love and mercy than the fact that He chose to sacrifice Himself for our salvation. "But God commendeth his love toward us, in that, while we were yet sinners, Christ died for us." Romans 5:8. Even in times of testing are you thankful for the salvation you have through Jesus' shed blood on the cross? Don't forget to thank Him. Daniel was a man who had unwavering faith in God and thanked Him no matter what the circumstances. Some of the advisors to King Darius wanted Daniel to be removed and conspired to enact a law that they knew Daniel couldn't comply with. They urged the king to issue a decree making it illegal to pray to any God or man except the king. There would be a strong penalty if a person was caught praying. They would be thrown into the lion's den. What did Daniel do? "Now when Daniel knew that the writing was signed, he went into his house; and his windows being open in his chamber toward Jerusalem, he kneeled upon his knees three times a day, and prayed, and gave thanks before his God, as he did aforetime." Daniel 6:10. Most of us know that Daniel was thrown to the lion's den but unless you read the background to that event you don't know why. Scripture tells us that we are to obey the laws of the land, but Daniel's actions show that the law of the land is subordinate to God. Daniel didn't stage a protest or change his routine in order to go against the law. He just continued to openly do what he always did...he prayed and gave thanks to God. God protected him, but things didn't go so good for his enemies. Read the story and see how trusting God brings justice in His time and in His way. Many governments today persecute Christians and public prayers are outlawed. The Apostle Paul spent a lot of time facing persecution because of his faith but he never compromised. He encouraged those who read his letters to pray and give thanks. "In every thing give thanks; for this is the will of God in Christ Jesus concerning you." 1 Thessalonians 5:18. There are things we cannot be thankful "for", but we can be thankful "in" all things. The blessing may not be clear as you go through a time of sorrow or testing, but if you make a habit to pray with thanksgiving , when the troubled times happen you'll automatically go to God and your faith will give you strength. Praise and thanksgiving to God is not limited to this mortal life. The Apostle John was given a prophetic look into the future. Christians will soon be Raptured and the scenes he describes of the throne room of God are awesome. "And all the angels stood round about the throne, and about the elders and the four beasts, and fell before the throne on their faces, and worshipped God, saying, Amen: Blessing, and glory, and wisdom, and thanksgiving, and honour, and power, and might, be unto our God for ever and ever. Amen." 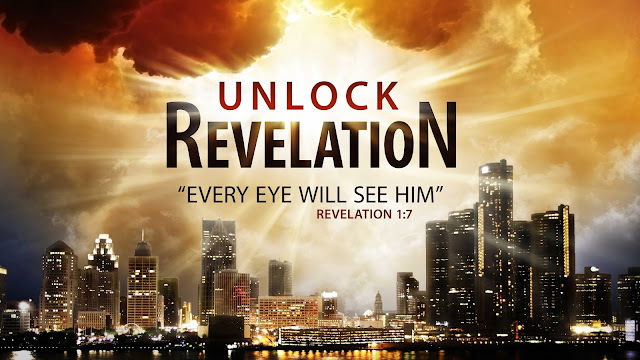 Revelation 7:11-12. Among the words used here in praise of God is "thanksgiving". When we get to Heaven we'll see what we can only speculate upon now...the majesty of God. There's only one way to spend eternity in Heaven and that is to place your faith in Jesus Christ and His finished work on the cross. Don't wait until we're gathered around His throne to begin thanking Him. Start today and don't stop. The United States of America (as well as a few other countries) has set aside a day to give thanks. We call that day Thanksgiving. This day was set aside to remember God's blessings on the Pilgrims who travelled across the ocean to escape religous persecution and establish a community where God could be freely worshipped. It's also to remember that God continues to bless us. Sadly, this day has come to mean very little as far as being thankful to God. Family and friends may gather together for a special meal of turkey, dressing, and all the fixings but it's hard to pull the family away from the television. Football games and parades dominate the air waves and these things seem to be the main focus of the day instead of taking time to remember our blessings and thank God. Too often we take things for granted and forget to thank God for all He provides. We forget that all blessings come from God. "Praise God from whom all blessings flow". His praise should always be upon our lips and we should honor Him with a thankful heart. God's blessings fall on everyone, but not everyone is thankful to Him. In this day and age of secular humanism I have to wonder if anyone stops to thank God for the sun and the rain. Who does an atheist thank for their blessings? Christians have more to be thankful for than anyone else on earth. We recognize that we are sinners but have accepted the death, burial, and resurrection of Jesus Christ for redemption. Our eternity is secure and nothing can take it from us. Now there's something to be thankful for. Honor Him with thanks giving. God bless you all. Of all the books of the Bible, the book of Revelation, also called the Apocalypse is a most mysterious book to some, but just reading these first few verses tells the reader that the book is designed to “reveal” to the reader what is going to happen in the future. Many people look at this Book of the Apocalypse and feel that it is just too hard to understand. They see verses with what appears to by symbolic passages and just avoid reading this book, as it just confuses them. Note this will be an abbreviated version, as to interpret all of the imagery we find, would take many messages in several different parts, but let us make some observations. YOUR PRIEST OR PREACHER WILL TELL YOU WHAT IT MEANS? In the past, denominations warned their followers that this was not a book for them to read, and if they wanted to know anything that was written in the Bible, especially this much misunderstood book, to come to them, and they would tell them what it means. Problem with that, is the person doesn't know if the information given to them is the truth, or designed to keep them under control of the religion they profess to follow. It was that way for the last 1700 years, when a Gnostic church rose to power and prevented the masses from even reading their bible, let alone to understand what the verses meant. But is the book of Revelation a book that is not for the average Christian, or is it just too complicated to comprehend all the perceived imagery? The answer to that question, is NO....it is a book of revealing, not concealing, as our Savior wanted us to know the “Time of the end” and what will come upon the earth...Let us take a journey into the pages of this book and see if we can make sense of a book that many just avoid. Our Glorified Savior opens this book by showing the image of His glory and dictates to the apostle concerning the 7 churches of Asia. These were real churches in Asia Minor, but was also used to illustrate the 7 stages of the progression of the church down through the whole of the Church Age. Each church illustrates what happened in a specific time period that many would be future to the Apostle. Our Lord proceeds to dictate what He finds acceptable and unacceptable issues that our Savior and Lord have with each of these churches, until He comes to the last two churches, of the Church of Philadelphia and the Church of Laodecia. As I have preached in the past, these two final progressions of the church have overlapped one another, as the Church of Philadelphia was the missionary and revival of following the Great Commission that Jesus gave His 11 apostles, (as Judas had already committed suicide) which will continue until she is taken out of this world, and Church of Laodecia who would be the luke-warm church of the falling away, or apostasy that Jesus prophesied would be a sign of the end of days and being thrown headlong into the coming tribulation. As a reader progresses through these first three chapters, our Lord makes a promise to those who populate the earth and His church at the end of the Age of Grace, the Church Age. I believe this promise is made to the Church of Philadelphia that would endure the worldly pull with its temptations, and repent of her sins and stay true to the Lamb of God who took away their sins...But note what the verse says. In plain English, Jesus proclaims that because you have kept my commandments, followed in my footsteps, accepted my payment for your sins, that Jesus would keep them from the hour of temptation. What temptation is Jesus talking about? Jesus proclaims what other parts of the Bible speaks of, that there would come a strong temptation to follow after another god on earth. Namely, the coming Anti-Christ who will demand worship from all people on earth, and will show signs and wonders that would, if possible, fool the very elect. But notice something that I have revealed before, and I stress the point here as well. The statement Jesus makes of the phrase “keep thee from” in verse 10 of Revelation 3, in the original Greek that the Bible was written in, reveals to us that the original word in Greek for this phrase is the word “ek” which literally means to “take out of, or remove from .” As some people erroneously believe, God will “take us out of” not through the coming Tribulation. After speaking with John about all the ages of the Church, Jesus stops His narrative and dictating to John what to write, and immediately, John is transported to a heavenly realm in vision, and in His Spirit and records what he sees...it reminds me of when Paul was taken to the third heaven and heard things that are not lawful for a man to hear. As Paul was spirited away to another plane of existence, so John was also taken spiritually into another realm to witness the throne room of God. As you read, John describes the throne room of our Living God the Father sitting on a throne surrounded by 24 elders clothed in white raiment and crowns of gold on their heads. This description has confused many people, as some have tried to explain who they “think they are” as being angels, or non-humans, or being totally baffled and just read right over it. But look at the description, and note where John has been, and where he is right now. He had just come from the explanation of the church ages, and in now in the throne room of God who shows him elders sitting on thrones. Their description gives them away. One, they are elders, so they would be those who are reigning with God and have great authority, as 24 is a symbol in Biblical terms as a sign of government, as 12 is this sign, and it is doubled here. They are clothed in White Raiment, and if you do a search, as it is found in the same book in Chapter 19, that white raiment is a sign of the saints. See, they are seated, so their work is over on earth as they have conquered, and on their heads are crowns of gold. Where have we read about having crowns of gold for the sign of the saints? 13,”Every man's work shall be made manifest: for the day shall declare it, because it shall be revealed by fire; and the fire shall try every man's work of what sort it is. These seated saints, who have overcome, have received their rewards, they are clothed with a sign of the saints, and they sit on thrones in God's government. To me, it is a clear sign that the Church, those who are now “born again” into God's realm are now forever in God's presence and have been removed from this earth, as the book of Revelation is a near chronological book of events which I will briefly outline how the symmetry of the Word of God in this book is laid out. the first three book are the Ages of the Church, up to and including the age we are now in. the fourth and fifth chapters reveal the rapture of the church, the HARPAZO that Paul spoke of in 1st Corinthians and 1st Thessalonians....we have been snatched away from the coming wrath, by force and changed into immortal beings. Beginning in chapter 6, the bible is divided into component parts. The next 6 chapters speak of the Tribulation, that begins with Jesus opening the 1st seal of the scroll which is the title deed of all creation that Jesus has bought with His own blood, and now will reclaim it, and begin cleansing it for His reign and rule. Then right in the middle of these chapters, we see a description of the players in this human drama with Israel being the focus of the Tribulation in chapter 12. The whole of this chapter is about Israel, just as Matthew 24 is focused on Israel and has nothing to do with the Gentile church in both chapters that many think He is talking about the church, which He is not. The next 6 chapters of Revelation 13-18 can only be summed up to be the Great Tribulation when the Beast power and the Anti-Christ are on a rampage to bring worship to the Satan indwelled son of the devil, the false Christ. Chapter 19 is the beginning of the reign of Christ, as He comes to put down all rebellion on earth, and throw the false prophet and the Anti-Christ into the Lake of fire alive. The next three chapter describe the Millennial Kingdom, the loosening of Satan for a season, and the Great White throne Judgment leading into eternity. That's a quick outline of the book of Revelation, but let us return to a few points concerning those of us who are looking for the soon return of our Lord Jesus in the clouds for His church, and the cry “come up hither”. Up to this point, the imagery has been most incredible, as death and destruction is all around the people of earth. God has been using evil men to fulfill His judgment on earth to this point, just as He used Assyria and Babylon to bring judgment on an idolatrous Israel. Men are being slain, now rising into the billions, and continue near unabated, as the environment itself is not safe for anyone, as plague after plague will fall on the inhabitants that dwell on the earth. But this is just the first half, as the second half is much, much worse. In the ensuing chapters, we see the sealing of the 144,000 Jewish evangelist that preach the Gospel to all the earth. They have come to believe in Jesus due to the events of the rapture of millions, some of them, possibly their own loved ones, the preaching of the two witnesses outside the Temple which some postulate they could be Elijah and Moses, as they were the two that joined Jesus on the Mount of Transfiguration. Note that they are doing the preaching, and even an angel in other verses is preaching the everlasting Gospel. But the question must be here...”If the church is still here, then why are others preaching the Gospel and not us? Are we not compelled by the great Commission to spread the Gospel throughout the earth?” Logical explanation and another sign, is that the church can't preach anymore, as she is not here. That is left to others. As I mentioned, chapter 12 just drops down into the narrative to identify the players in this spiritual drama and then continues with the plagues and destruction leveled upon the earth. Even though mankind is being persecuted by the Anti-Christ and his cronies that are controlled by the false religious prophet, (that even now is trying to unite all religion into a One World Religion), it is nothing compared to the Divine environmental catastrophes that are coming down upon all mankind …..that is the difference between the times past that all men have been persecuted down through the ages for their beliefs and not following a singular ruling theocracy bent on power and control, but now is the WRATH OF GOD, that in no time past has had this level of destruction. This begins in Chapter 6 and continues after chapter 12, and the 6th seal is opened that can only be compared to the Great Tribulation. Because of the defiling of the Temple of God and the edict to destroy the Jews, much like in the book of Esther and the madman, Haman, God's Wrath is poured out without mixture into the cup of His indignation. Those on earth who have taken the Mark of the Beast have pledged allegiance to another so called "god". Note from the time of the Anti-Christ entering into the Holy of Holies and proclaiming himself to be a god, that you could pinpoint the return of Jesus Christ almost to the day. As John told us in Chapter 12, that Israel will be protected, a remnant from the serpent for 3.5 years. Two problems that come up with those knowing the almost exact time when Jesus will come, and those who believe in a post-Tribulation coming of our Lord for His church. Jesus said “ "But of that day and hour no one knows, not even the angels of heaven, but My Father only. If we know to near the exact date of the return of Christ, and knowing that it will NOT be as in the days of Noah, as the population will only be interested in survival mode, and no one will be living life as normal by any stretch. So if the truth of God's Word says that no one knows the hour and day, and it can't be as in the days of Noah, drinking, eating and giving in marriage, there must be an alternate time that Jesus speaks of and to fulfill another set of verses. If the Post Tribulation model is correct (and I proclaim it not be), then when Jesus comes in the 2nd coming, the dead in Christ are raised to life, the living changed into immortal Spirit Beings, and the rebellion of mortal men who have followed the Anti-Christ and dare come against our Lord to do battle at Armageddon, which included all who have taken the mark of the beast, (as there will be no gray area, you are either in one camp or the other, either with Jesus or with the Anti-Christ.) who is it that goes into the Millennium as mortals? See the problem? The answer is no one will be alive in their mortal bodies to enter into the Kingdom of God. Only the Pre-Tribulation model makes any sense and aligns with God's Word. It will be the most destructive and dangerous time in all the history of the rule of mankind. Anyone who reads these verses along with what Revelation speaks of, can see that this will not be life as usual. Men and women will be dying by the millions into the billions in 7 short years and the rule of Satan found in the Anti-Christ will be beyond anyone's imagination. As long as we are in the world, and have Jesus as our Comforter, found in His Holy Spirit residing in the Church, Satan cannot overcome us, as long as we stay close to God. But that is another problem for those who are Post-Tribbers. If Satan can't overcome us, then how does the Anti-Christ overcome the saints during the Tribulation? And if I be a Christian and the Holy Spirit has been drawn back as 1st Thessalonians 2:7-8 testify, then Jesus lied to us, as He said He would never leave us or forsake us...since Jesus is not a liar, then why am I alone in the Tribulation without Him when I need Him the most? Easy, the church is not there. More easy explanations, as the Bible cannot contradict itself. The saints of Revelation 13 is not the Church. And those who Jesus speaks of in John 16 are the church, but they are both saints, just not the same group of saints. Those in the Tribulation are NOT sealed as the 144,000 Jewish evangelist are, but although they have accepted Jesus, God does not seal them, meaning they CAN loose their salvation, if they take the dreaded Mark of the Beast. So the verse that says “He who endures to the end, shall be saved” applies here. The perils of the tribulation come to an end in chapter 19, as John sees the bride of Christ being called to the Marriage Supper of the Lamb. I want you to focus on the description of the Bride of Christ and what she is dressed in. “fine linen, clean and white” which is a sign or righteousness of the saints. She is called to the Marriage supper, but a few verses later, we see an army coming with our Lord Jesus riding on white horses. 11 “ And I saw heaven opened, and behold a white horse; and he that sat upon him was called Faithful and True, and in righteousness he doth judge and make war. Note again the description of those who come with Jesus to make war with the last of the rebellion on earth. “clothed in fine linen, white and clean” again a sign of the saints. Where have the saints been? This is the church, and she has been with Jesus for the last 7 years in heaven and now comes back to watch Jesus finish the destruction of all rebellion, as His vesture is dipped in blood, which is not His blood, but the ones He has been slaying in the wine press of His fury for the last 7 years. As we read these chapters 19 and 20, we see Satan bound, the 1000 year reign of Jesus, and the unleashing of Satan for a little season. Enough time to cause another rebellion on earth that is destroyed by fire coming out of heaven by God when they surround the Holy City and think in their madness they can confront the King of kings, and Lord of lords. Thus begins the Great White throne judgment of all unsaved mankind. They are gathered from wherever they died and are raised to immortal life, but their life is short lived as they are judged and thrown into the Lake of Fire, as their name is not written in the Lamb's book of life. You will not find a passage that says that anyone who has ever lived are given another chance to accept Jesus as their Savior. This life was designed just for that. “What will you do with the man, Christ Jesus?” Will you accept His free gift of salvation or reject it? Some say, what about those who never heard of the name of Jesus and didn't get a chance?. To that, I say....that is God's Sovereign will. I am not God, but He has not revealed to us what will happen to them, or if they are forever lost. Who in their right mind would turn around and say no to a free offer of salvation, the choice of heaven or hell and not accept Jesus as Savior, who is standing right in front of them? You say, no one? You would be right. Only a madman would reject a free gift. But that is exactly what men are doing right now, because they must have proof. They must have something to believe in that is tangible....not some invisible Divine Being.....Jesus told us when He spoke to doubting Thomas who must put his finger into His nail scarred hands and His side to believe. It is called faith, and it is something given only by God's Holy Spirit to even accept that free gift of His mercy and grace. But men do reject that calling of His Holy Spirit to their everlasting destruction if they meet God after this life. I want to close with something that many miss at the very end of Revelation, when the Bride and the Groom of Jesus Christ beckon to those who will listen. The Bride of Christ and the Spirit beckons to all who will hear, to come and join them. The Bride of Christ has been known from the foundation of the world. God wrote down each of those who belong to Him, in the Lamb's book of life. Now we, as the Bride of Christ beckons to others who will hear. Those can only be the guest who go through the Tribulation and survive, or are slain for the Word of God by being beheaded. That would include Gentiles that have believed and endured to the end, and Jewish people, but a remnant of either, even though they are a great number, many will die without Jesus in their hearts and be condemned. I have given you a brief description of the judgments of God as revealed in Scripture and the proof that the Church is not destined to be included in this time. As many bible passage proclaim that we are not appointed to receive any of God's wrath..There is a difference between now and then, and that is God's Wrath. Men have always been evil and persecuting other men, but God NEVER, EVER has subjected His people who call upon His Name to the endurance of His wrath. To believe that the church must endure the wrath of God and be purified along with Israel (Malachi 3:3) and endure the torment of such a time, is to embrace the concept of a Catholic purgatory that says that the blood of Jesus was just not quite good enough to save us utterly. I'm here to tell you...Jesus saves....past, present and future sins and the Church being in the Tribulation serves no purpose according to God's Word. Isaiah 26:19-21 tells us that Jesus has prepared a place for us, and to hide ourselves in our chambers till His indignation has past. He also reaffirms this fact in John 14:2-3 that He is preparing a place for us, and that where He is, there we will be also...He is coming to receive us to Himself. Will you be ready for that event? This is Pastor Mike Taylor, praying you are ready when Jesus comes..soon....if you need prayer, counseling, or just a listening ear, email me at realteam1999@sbcglobal.net, or visit me online at www.pastormiketaylor.blogspost.com. God bless you all. TILL WE MEET AT JESUS FEET................SOON. If you are still here and have so far managed to survive to continue reading these letters, then you will know that in the loose chronology of coming events that I've been relating, where I left off was giving to you a very broad, generalized overview of events that are recorded in Revelation chapter 6 through the opening of the 5th "seal judgment" thus far. As I've already told you, there will be emerging onto the global scene (perhaps remaining behind the scenes for a while) a man who will "confirm a covenant" between Israel and "many" others. Remember, I told you that this man will come onto the world scene using "peace" as his platform. As a result, he will be able to do that which hasn't been done as yet - that is to bring about a "peace" which will allow for the rebuilding of the Jewish Temple. (3) see the world, on a global scale, suffer catastrophic upheaval from the aftermath of the "great vanishing," which is the rapture of the Church. (6) see the arising from Jerusalem of two men who will be special emissaries sent directly by God (the Bible calls them God's "two witnesses"). They are also metaphorically called the two "olive trees" of God. These "two witnesses," as the Bible calls them, will bear powerful testimony to the Jews of the Most High God, and His Son, Jesus Christ, who is and always has been Israel's Messiah. These men will be given supernatural powers from God as well as protection for a period of time. Their ministry will last for exactly 3 1/2 years, or the first half of the 7-year Tribulation period. Their preaching and proclamation of Jesus Christ as Israel's true Messiah will bring MANY Jews to belief in Jesus Christ as their Savior and long-awaited Messiah. The testimony and impact of these two supernaturally anointed men will have global repercussions. It will result in the reaching of and bringing to salvation millions upon millions of people from every kindred, nation, tribe and tongue. The 144,000 Jewish virgins, who will be saved and sealed, will be the "first fruits" of the two "witnesses," and from there the number of converts will multiply into all the world. Remember too, I told you that, at the very midpoint of the last 7 years, God will allow the AC (Antichrist) to kill these two men; their dead bodies will lie unburied in the streets of Jerusalem, where the entire world of unbelievers will see and celebrate their deaths via satellite TV and social media. Then, 3 1/2 days later, God will resurrect these two men. He will, in full view of the entire world, "catch them away" back up into Heaven. What I want to do now is to give a recap of those who will be the major players during these last 7 years. As you study the book of Revelation, and as you live through it (for as long as the Lord allows you to live), you will meet these men in the pages of Revelation. As time goes on, you will recognize them in the reality in which you now live. The impact they will have will be enormous. Some will become great servants of God working on behalf of the coming Kingdom of God. Others will be unholy and will bring chaos, death, destruction and the wrath of God down upon all of the "Earth dwellers," as the Bible calls those who continue to willfully reject God - those who willfully choose to follow and to worship these enemies of Almighty God. #1 - The Two Witnesses: possibly the Old Testament prophets of Moses and Elijah (although they are never named in Revelation, so we can only speculate on their identities). You will, however, easily recognize them by their singular appearances and supernatural abilities when they appear in Jerusalem, Israel after the rapture of the Church. (Read about these two extraordinary men in Revelation chapter 11). #2 - The 144,000: These are all men - all Jews - all virgins, and there are 144,000 of them in number. God has (will have) sealed these men for His service, 12,000 from each of the 12 ancient tribes of Israel, as listed in Revelation 7. God will seal in their foreheads some type of mark that will identify each one of these 144,000 Jewish, male virgins as belonging to Him. God will use this group of Jews to do that for which He had set the nation of Israel aside to do from the beginning. These men will finally fulfill the mission that Israel herself failed in doing. They will go out into the entire world as God's missionary emissaries. It is by their testimonies and preaching that the greatest evangelical effort of all times will result in the greatest number of converts to salvation in Jesus Christ that has ever been. Perhaps you yourself will be won to Christ as a direct or indirect result of the testimony of these 144,000 Jewish, end-days evangelists. Be very careful how you treat these men. Jesus, in speaking about this 7-year time period (in Matthew 24-25), calls these men "MY brethren." To those who look after, harbor, give refuge and aid to these Jews, Jesus will liken your treatment of them as if you were doing the same to Him. In other words, Jesus identifies with these men; and whoever helps or mistreats them, it will be for them as if it were Jesus Himself in their place. #3 - The Antichrist: You have already been introduced to the man who is the Antichrist. As you remember, I told you, according to the scriptures, that it will be he who "confirms a covenant" between Israel and "many" other countries. That "confirmation of a covenant" is what lets you know this man's true identity and purpose. I will tell you more about this man, Lord willing, in coming chronicles. #4 - The False Prophet: There is yet one more person of whom you need to be made aware. This man is (will be) a renowned religious leader who will bring together, under his leadership, a merging of all the world's religions - an "ecumenical uniting of all "religions." This man will be satanically inspired and controlled, but he, like the AC in the beginning, will give the appearance of being a humble "man of peace" as well. He will appear as a great uniter of "faiths." He will come across as having the meekness of a lamb, but will in truth have the heart and ruthlessness of a "dragon." He will be utterly consumed by and be a worshiper of Satan himself. This "religious leader" will be allowed by God to be granted from Satan great power, along with abilities to perform dark, supernatural acts. 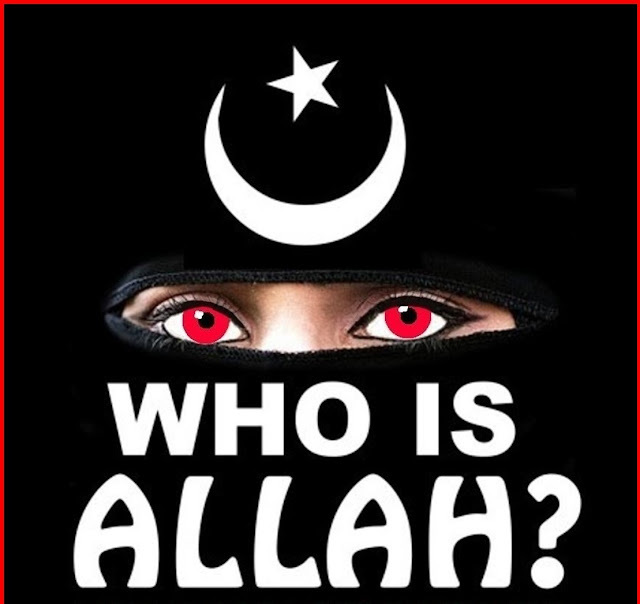 This religious leader will align himself with the Antichrist; it will be he (this global, religious leader) who will put into place a global religion that will mesh with a global government, all controlled and enforced by a global, military power. The Bible calls this man the FALSE PROPHET. You can read about this imposter in Revelation chapter 13. Watch out for him. From this point forward, you will have moved into the 2nd half of this last 7 years. From this midpoint, you will now be entering the time period Jesus Himself called "great tribulation" - a time that is unprecedented in all of history - a time that will be unlike anything ever seen upon the earth in all of Earth's history, including the time of the global Flood of Noah's day. 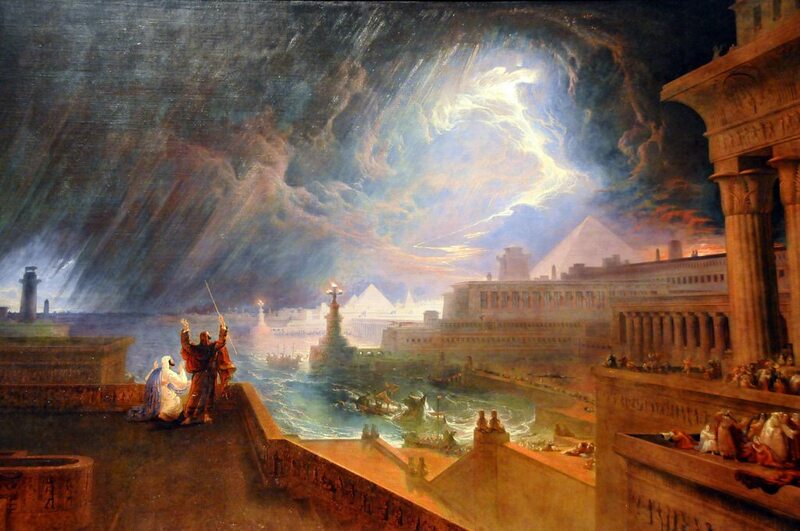 (1) God's Two Witnesses (possibly Moses and Elijah). (3) God's Holy Angels, including Michael the powerful Archangel, who fights for and stands in defense of God's people Israel. (1) Satan: the fallen cherubim identified in the Bible as "The Dragon," along with all of his demonic hordes and fallen angels. (2) Gog: the "Chief Prince" (leader) of Magog, which is in fact modern-day Russia (Vladimir Putin almost certainly). Hold on Tribulation Saints, for though the worst is yet to come on Earth, there is great hope and glory beyond your imagining for all of you who become believers in Christ and who remain "faithful unto death!" Read on... (Part 6 to come).